The low-residency Master of Fine Arts program is an exciting partnership between the Vermont Studio Center and Northern Vermont University that combines a 60-credit program in studio arts at NVU with six 4-week immersive residencies at the Vermont Studio Center. 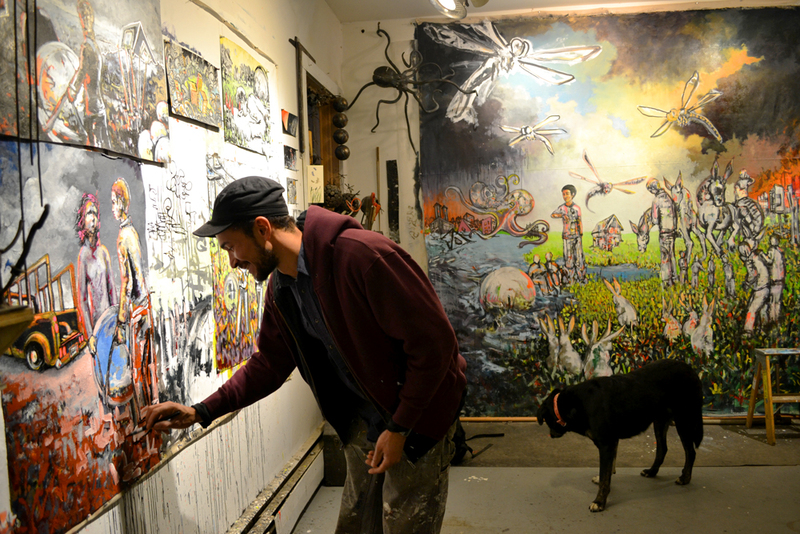 At VSC, MFA students have access to a dynamic international community of artists and writers, as well as a plethora of opportunities for exposure, collaboration, and creative growth through events such as resident readings and visual arts slide nights, twice-monthly Open Studios, and VSC's Visiting Artist and Writers lectures. This flexible, collaborative model promotes "nurtured independence" through its balance of structured educational programming and self-directed exploration and growth. The unique combination of independent studio work, intensive VSC residencies, and ongoing support and guidance from the MFA faculty at NVU empowers students to harness the full strength of their vision to achieve mastery of their own artistic expression. Students usually complete their program of study in three years. MFA students create work in a variety of disciplines, including drawing, painting, sculpture, printmaking and mixed media. Coursework concludes with an exhibit and artist’s talk in the Julian Scott Memorial Gallery at Northern Vermont University.